Sherrie Scraps with passion: For some bunny special! First if all, I want to wish you and your families a blessed and Happy Easter! Over the next few days, I will have some scheduled posts as I will be going back home to be with family again. I am sorry I won't be spending much time blogging/commenting for a little while. I need to be with my Dad and family as much as I can right now. Here is another really quick Easter treat to share using a fun file from the Silhouette Store #57666. 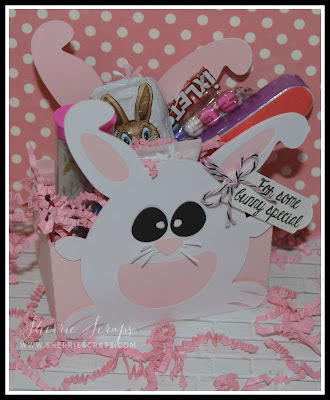 I cut out these cute little bunny boxes and filled them with a nail polish, file and clipper along with some chocolates. These were given to Arya's preschool Teachers for a little Easter gift. 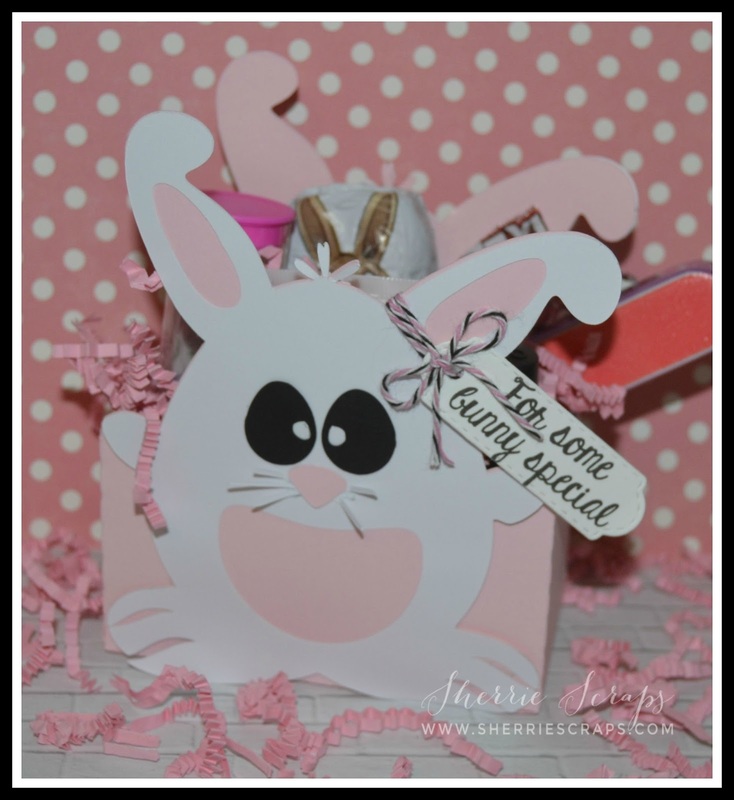 The sentiment is stamped with Jaded Blossom Honey Bunny stamp set onto a Jaded Blossom Mini Tag Dies 2. 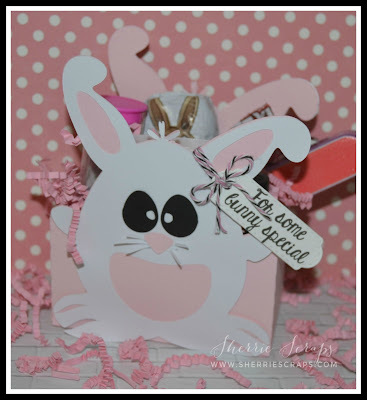 Sherrie this is a darling little Easter treat and I love the sweet sentiment. I am so sorry to hear about your Dad. I will say a prayer for your Dad, you and your entire family. All my best sweet friend! So, so super cute! 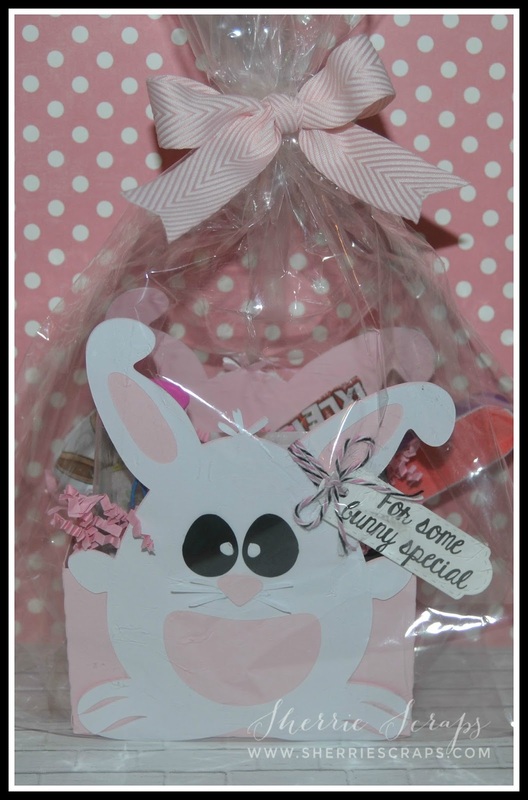 Love how that big bunny is incorporated right into the gift box... like the ears are the handle. And that expression on him is absolutely adorable! Hugs to you, and happy Easter! Great project! I bet the teachers appreciated your thoughtfulness. Thanks for joining us at Little Red Wagon. OMG this is too darn cute. Love the soft pastel and the CUTE bunny! What wonderful little treats for Arya's teachers! I'm sure they loved them. They're adorable! !